Barry P. Korn is a Chartered Financial Analyst with over 30 years of direct lending and consulting experience. As Managing Director of Barrett Capital, Mr. Korn is responsible for and oversees client relationships and assignments. Some people read novels, Mr. Korn reads balance sheets. Clients come to Barrett to determine what type of financing meets their requirements, know the financial institutions that are able to provide the appropriate financing, and execute on this expertise through funding and afterwards. In addition, Mr. Korn is a licensed Mortgage Banker, affiliated with The Federal Savings Bank, providing price competitive residential loan programs. Barrett Capital Corporation, a specialty finance company, provides lending, leasing and advisory services for real estate entities and corporations with an emphasis on transactional asset based funding. Barrett Capital maintains strategic relationships with a number of bank and non-bank lenders, private equity sources and consultants so as to offer a complete range of banking options and advisory services. Mr. Korn previously served as a Vice President in Webster Bank’s asset based lending division of $25 billion Webster Financial, one of New England’s largest commercial banks, providing accounts receivable and inventory lines of credit. 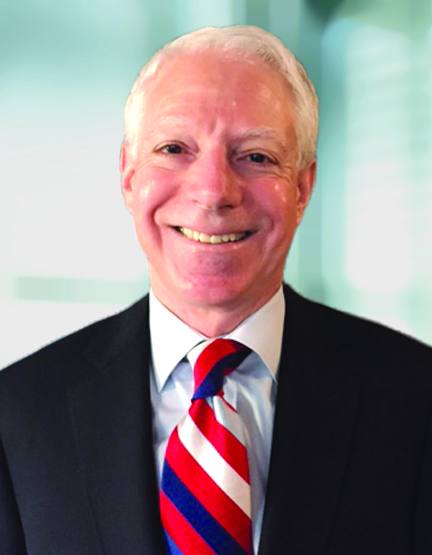 Prior to his position with Webster, he worked for New York based Sterling National Bank, providing asset based lending, lease financing and other commercial banking services. Mr. Korn founded Barrett Capital Corporation, an independent finance and consulting company, which has owned and managed in excess of $150 million of real estate and equipment and vehicle leases; serving small, middle market and Fortune 500 companies and real estate entities. Mr. Korn serves on the Board of the Council of New York Cooperatives and Condominiums (CNYC), the leading association serving this market. He served 5 years as a Board Member of the New York Chapter of the Association for Corporate Growth (ACG), the leading middle market private capital association, was a Vice President and Chair of its Sponsorship Committee and, a founding member of the Long Island Division. He continues as a member of the Finance Committee. Mr. Korn also belongs to several real estate and clean energy associations, as well as the New York Society of Security Analysts, serving on its Alternative Investments Committee. Mr. Korn is a recognized expert in the financial services and consulting field and has been regularly interviewed by major media publications. He holds a Bachelor’s degree in Public Accounting from City College of New York and a Master’s degree in Finance and Investments from Baruch College’s Zicklin School of Business.